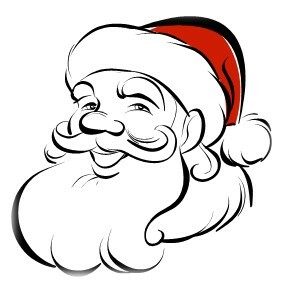 I was wondering how many of you believe in Santa? For those of you that do believe I say hurray! For those of you that don’t believe I offer my story below and hope that it might challenge your thinking and open your mind. Yes, it’s hard to believe in things we don’t see. How can it be? If we can’t see it or feel it? It must not be real? However, I propose that our very existence is certainly based on many things we can’t see. A simple example is oxygen. Certainly we can’t see oxygen; yet without it we would not be living! My story begins a long time ago, when I was in grade school. I honestly can’t remember if it was second, third, or maybe fourth grade. But I remember in detail the rest of the story. As fall was passing and winter was on the horizon I started early. I started telling my father and mother that I wanted a guitar for Christmas. Now remember that I was one of seven children. And my father was an hourly worker at the J.L. Hudson’s company. He made a modest income but extensive Christmas shopping was beyond his budget. Those that know me remember one of my stories about Christmas. One year I remember waking up extra early; excited to open presents on Christmas morn. And I was too excited to wait for everyone else so I decided to carefully open my gifts. I could always rewrap them and no one would know. I carefully peeled back the tape so they could be rewrapped without giving away the secret. And I remember two of the few presents that I received that year. For some reason this memory burned into my mind. I was very diligent about asking for the guitar. I wanted Santa to bring me a guitar for Christmas that year. I wanted to learn how to play and sing. Like Sister Johnathon at our school. Sister M. Johnathon was the guitar-playing, singing nun at Patronage of St. Joseph. She taught us songs and had the entire class singing praise to God. And I wanted to learn how to sing like her. And I remember asking her (before I had a guitar) if she would teach me how to play. And she said as soon as I get a guitar she would give me lessons. My mother was careful in how she talked about Santa that year. I remember her hedging; saying that a guitar would be great to have; but sometimes we don’t get everything we want for Christmas. I’m sure she was trying to manage my expectations as she didn’t want a disappointed son on Christmas day. 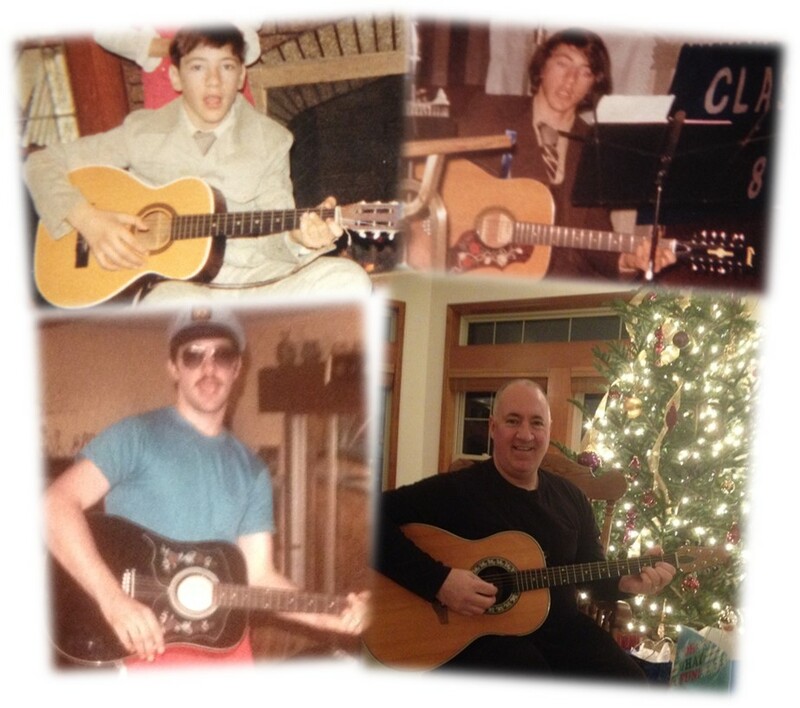 As the Christmas was fast approaching; I never gave up on the guitar. I really wanted this one present! My mother continued to caution me that we don’t always get what we want. That sometimes we have to wait for things that we want. But my father told me that if I truly believe than I will get the guitar. He told me that Santa would see to it. That December our class took a field trip to Madonna College. We were going to the college for a Christmas party. When our school bus unloaded we met up with the college students. And so it wasn’t long before two students (who I never met before) met up with me. They were my hostesses for the party. And after my fellow students paired up with their sponsors we were led into a gymnasium. In the gym were boxes of gifts scattered around the large floor. The two women led me to the center of the gym and there was a box for me. And in the box was a guitar. I don’t remember the other gifts in the box but I remember the guitar. And I remember how happy I was to receive it. Santa delivered! And I didn’t even have to wait until Christmas. I was one happy boy that year. I received the one gift that I most wanted. And I remember when we returned to school; with guitar in hand I went to Sister Johnathon and told her I was ready for lessons. Sr. Johnathon taught me how to play. And the guitar changed throughout the years but the gift from that Christmas stayed with me to this day. And the songs that Sr. Johnathon taught me have stirred my soul. And this continues to be among the most valued blessings I count. Maybe we can’t see him. Maybe he doesn’t drive a sleigh with eight tiny reindeer. But that doesn’t mean Santa doesn’t exist! The spirit of Christmas is about giving. And about loving. And about receiving. And about BELIEVING! May the spirit of Christmas be with you this season! And I hope you BELIEVE! I’m still at home recovering from the surgery. And I’m doing very well. I know the hundreds of prayers were heard by our Father and he is working some healing magic in me. And know that I am praying for each of you as well. I went into surgery around 1:50pm yesterday. The surgery was completed around 6:00pm. Dr. Regenbogen reported that it was a difficult surgery but it was successful. I’m now resting as well as possible in the hospital. The goals for today are to start a clear liquid diet, to walk three times, and to sit in a chair 3 times. Pretty lofty goals. Haha. I will slowly transition into a regular diet and to oral pain medication over the next days. I’m not looking forward to the pain medication switch because it just doesn’t compare to the epidural. Thank you all for the many prayers and notes of encouragement! Connie and I are very appreciative of your support! My surgery will be at 1pm tomorrow (Monday 12/2). I know many of you will be praying for me and I want you to know that my family and I are very grateful for your support. My wife Connie will post an update sometime Monday evening letting you all know how the surgery went. 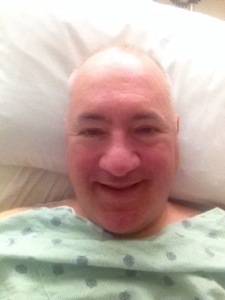 I had two pre-op appointments on Tuesday, 11/19. So I left my house that Tuesday morning headed to Ann Arbor. I had a half cup of coffee when I entered Eastbound I-94. It wasn’t long before my mug was empty. And so I started to debate with myself on whether to stop or not stop [for a refill]. Finally I gave in, taking exit 145 in Jackson I headed to the McDonalds. I went through the drive through and ordered a small coffee and small water. As I approached the I-94 entrance ramp I noticed a man hitchhiking. I drove by him and went a few hundred yards before deciding to give him a ride. Something made me think of the Good Samaritan story in the bible and I didn’t want to be the one who passed by the person in need. So I stopped and proceeded to drive in reverse on the shoulder of the road. When I was close enough to the hitchhiker I stopped and honked the horn. He turned and saw I was waiting for him and as he came towards the truck. 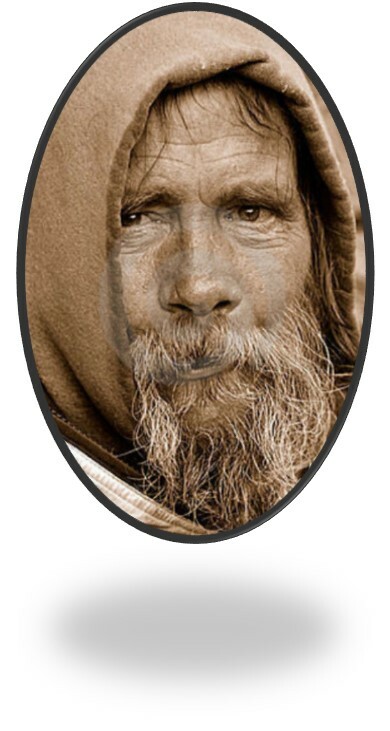 He looked like a homeless man. He was bearded, wearing a thick old coat, standing over 6 foot tall. He opened the rear door to the truck and placed his backpack onto the rear seat. He then opened the front passenger door and climbed into the seat. And so we started down the entrance ramp onto I-94, heading east towards Ann Arbor Michigan. After entering the highway I realized my wallet was sitting in a cup holder next to my coffee and water, along with my phone. I couldn’t help but worry that I really should have put it in my pocket before picking up this guy. I was seriously afraid that he might take my wallet and phone. As he started to talk any fear I had was replaced with intense curiosity. I don’t remember all the different scriptures he spoke but as we conversed he effortlessly weaved the word of God into our conversation. I was very impressed with how articulate this homeless man was. He obviously had a photographic memory of the bible. When he spoke it was as if he was reading the passages word for word. He told me he was coming home from Cadillac. I mentioned that I had a friend who was a fireman in Cadillac and he said he likes firemen. I asked him what he went to Cadillac for. He said that he was almost home but God told him to continue on to Cadillac, and so he went. He mentioned that he had “health concerns” and the wanted to get to Cadillac before he couldn’t go. I believe he quoted Philippians 4:13 “I can do all things through Christ which strengtheneth me” at this point in the conversation. I asked him if he grew up in Ann Arbor and he told me that he grew up in Detroit. I mentioned that I also grew up in Detroit, near Conner and Gratiot. He said he knew the area well. He said that he bounced around Detroit, living on the East Side and West Side. And now his home was in Ann Arbor. I mentioned that was a long way to hitch hike and he informed me that he actually walked a large portion of the way, pointing out that US 131 is one of the few highways that you can actually walk on. I asked him what he did during the terrible storm that passed through Michigan a day earlier. He said he stayed in Marshall. He proceeded to describe the wrap-around porch at the Highlight drive-in restaurant. He said he took shelter in a corner of the porch. And as he prayed during the storm he couldn’t help but think about the storms mentioned in scripture, heralding the next coming of Jesus. I asked him how he knew the bible so well and he told me that the scripture is always with him, everywhere he goes. He proceeded to take a little hand-held bible out of his pocket. I mentioned that I had to stop for Gas but was waiting to get to Ann Arbor since gas was lower there. He asked me how I knew the gas was lower there. I pointed to my phone and explained about an app called “gas buddy.” He said to not trust machines and that gas buddy was wrong this time. He also said that the average gas price that they publish in Michigan is lie. I said something about our time on earth being a brief time in comparison to eternity in heaven. And that we had to live with a focus on eternity. He disagreed with me, saying that we must focus on the here and now. He explained that we can make a difference in the here and now and this must be our focus as we live out each day. When I went to drop him off in downtown Ann Arbor he leaned towards me placing his hands on my shoulders. And he said a prayer and blessing, calling me brother. As he was exiting the truck I grabbed my wallet and took out a ten dollar bill. I extended it to him. He said that wasn’t necessary. I practically insisted that he take it. I asked him to please have lunch on me. He finally smiled and took the small gift. I then proceeded to my appointment and continued to wonder about this person throughout the rest of the day. The next morning I told my wife about him when we woke. I later told a colleague at work about him as well. They both insisted that I picked up an Angel. I’m not sure he was an Angel but I am sure he was God’s messenger. And his faith and knowledge of the scripture certainly left an impression on me. By the way, he was right about the gas prices in Ann Arbor. Gas Buddy was wrong that day. Thank you for your prayers and support. And I pray that Father God bless you and keep you in safety and fill your hearts with love and joy as you embrace this day! Count your many blessings and you’ll soon lose count.